The La Sportiva TX2 is a warm-weather approach shoe and all-round adventure shoe for technical approaches, hiking and trekking, thanks to its super light weight, breathability and comfort. The La Sportiva TX2 is equipped with a Vibram Megagrip sole, which provides the best traction over a multitude of terrain, while the flared fifth metatarsal area provides extra stability and torsional rigidity, which is great for those rocky steeps and scrambles. Elsewhere, the one-piece breathable mesh construction makes for lightweight packability; a shoe that can be shoved in a backpack or attached to a harness without any hassle whatsoever. The La Sportiva TX2 has a Vibram Megagrip sole, which was developed for use on slippery surfaces in all weathers. Vibram is one of the world’s most well-known producers of shoe soles and as a result, Megagrip is not only incredibly grippy over a range of surfces, it’s super durable, making it the ultimate shoe sole for demanding activities such as hiking, trekking and backpacking. 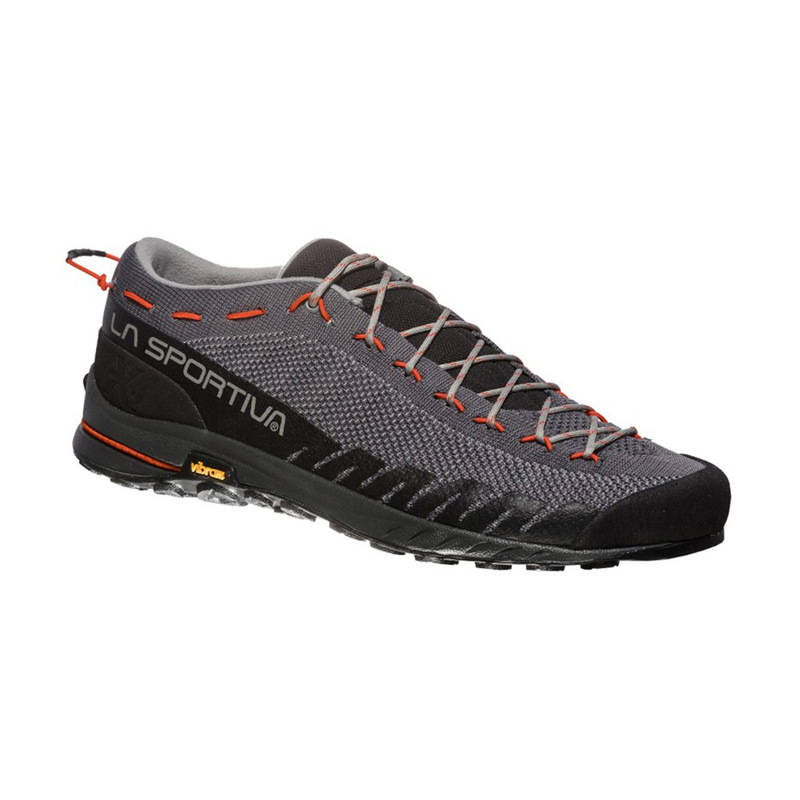 The La Sportiva TX2 has a MEMlex Midsole, which comprises of 80% EVA foam and 20% SBR rubber. This combination provides the best combination of rebound, support and stability in a lightweight package.